If you’re living paycheck-to-paycheck, long-term savings and investment strategies aren’t exactly a priority. After all, you need to make sure you can afford basic human necessities like the roof over your head, utilities, and food, not to mention life necessities like car insurance and cell phone plans. Once everything is accounted for, what little is leftover from your last paycheck might be used to pay off debt or go out to dinner one night per month. 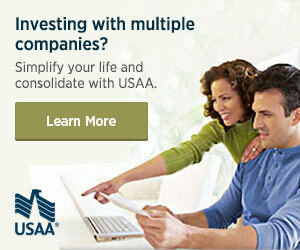 Investing money in stocks, bonds, or any other option just doesn’t seem feasible, given your income/expense ratio. You know that investing is important, especially when it comes to saving for retirement, but the freedom to divert money to investments instead of necessities and debts seems like a far-off goal. On the bright side, it is possible to get started in investing, even when you’re practically broke. Whether you’re just starting out in your career and making payments on a huge student loan debt, or you’ve recently switched careers and it feels like you’re starting from scratch, there are ways to prioritize your investment strategy at all stages of life, even if it seems impossible at first. Even if you only have $20 leftover each month after all your expenses are accounted for, investing this money now will multiply its value over the next several years. It’s certainly important to occasionally make additional payments on outstanding loans, but you can pay off debts and invest for retirement at the same time. These two things have unique benefits: paying off debt stabilizes your finances in the short-run while saving for retirement ensures your financial well-being in the long-run. Whether you have $5 or $80 leftover each month, put a chunk of that money into secure investments and watch that money double in value over time. Of course, it’s worth noting that you should have a modest emergency fund prior to jumping into the stock market to account for any unexpected expenses that might throw you off track in your investment journey. This online-based robo-adviser uses an extensive algorithm to improve their investors’ chances of succeeding in the stock market. Betterment offers IRA accounts, as well as traditional investment accounts, which you can personalize based on your unique goals (e.g., one account for a down payment on a home, one account for your toddler’s college tuition, one account for emergency savings, etc.). Betterment is a great option for new investors because it takes the confusion out of investing by providing easy-to-read advice, visual resources to track your investments and simple options for changing the stock/bond ratio of your accounts. Betterment is also useful for saving money on investments, as the robo-adviser charges significantly lower fees than traditional stockbrokers and financial advisers while providing you with top-notch investing strategies to minimize your chances of losing money in the stock and bond markets. Whether you’re 22 or 52, there is no better time to save for retirement than now. If your current employer doesn’t offer a 401(k) plan, then an IRA account would be your best bet. You can contribute up to $5,500 per year ($6,500 if you’re over 50 years old), and the money you place in a Roth IRA account is tax-free when you withdraw later on. Saving for retirement should be one of your biggest financial priorities, even if the end of your working days is decades away. After all, Social Security isn’t doing well, so relying on tiny government checks to stay financially afloat during your retirement years shouldn’t be your only option. If you’re a low-income earner, then your capital gains tax might be nonexistent. You read that right: single income-earners who make less than $37,650 and married/widowed income-earners who make $73,500 or less each year qualify for a 0% tax on qualified dividends and long-term capital gains. The capital gains tax traditionally covers assets (such as stocks and bonds) that are sold at a higher value than the original purchase price. So, if you hold onto your favorite tech company’s stock for a decade or so, then you might pay 0% on the capital gains you accrue from that investment (assuming your income is still within the IRS’s limits). If you understand the importance of investing your money, then there’s no excuse to say “I’ll start investing when I make more money.” Procrastinating on investing, especially when it comes to retirement, might make you miss out on a lot of lucrative opportunities – not to mention the peace of mind you’d have during your retirement years if you started saving years ago. Don’t let a paycheck-to-paycheck lifestyle hold you back. Find ways to trim your budget or take on a small side gig to boost your income, then invest that extra money – even if it’s just $20 per month – to reap the rewards later on. Even you can learn how to start investing with very little money. How did you start investing? Where you investing and broke at the same time?